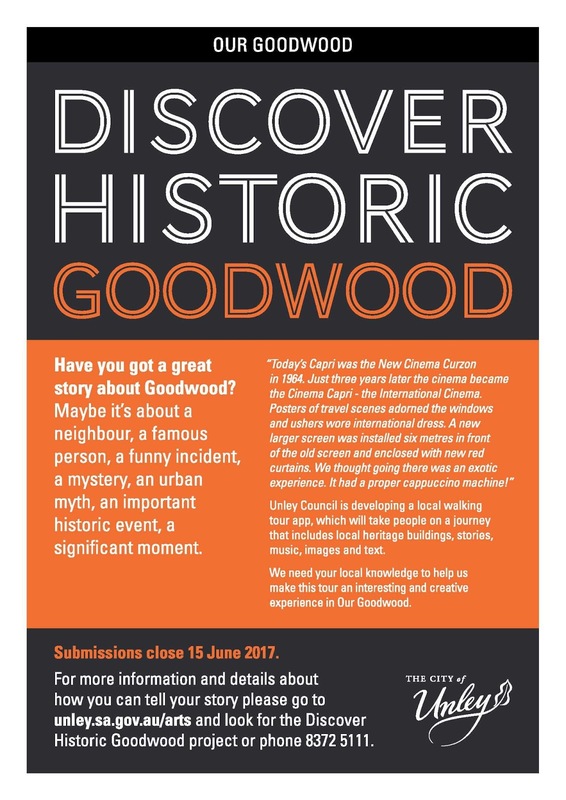 Unley Council is promoting 2 exciting projects in and around Goodwood. Flyers and posters have been distributed to to 2,800 homes and the local shops and businesses to get the message out. What are your favourite things about Goodwood? What makes it so special? Is it the people, the places, the things to do, family, friends, the history? 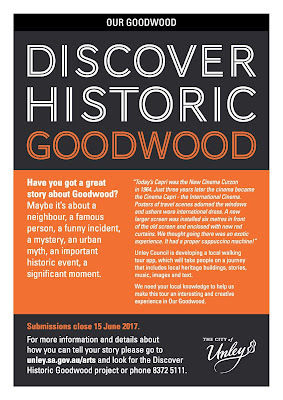 The City of Unley is looking for you and your communities to submit images and stories for two innovative arts projects Post It and Discover Historic Goodwood. Please find attached further details and how you can get involved. For details on how to submit your valuable local knowledge go to unley.sa.gov.au/arts or phone 8372 5111. Submissions close Thursday 15 June.